The PSLV. Image courtesy of ISRO. On 25 July 2018, Dr Jitendra Singh, India’s Minister of State for Prime Minister’s Office, Department of Space, disclosed the revenues and expenditures of India’s space agency, the Indian Space Research Organisation (ISRO). The revenue ISRO generates comes from commercial products and services it offers. Its customers include the Government of India and its related organisations, private users and international customers. Most of this is done through ANTRIX, the agency’s commercial arm dealing with both domestic and international customers. Internationally, ANTRIX markets products and services from Indian Remote Sensing (IRS) program, and offers TTC services. Additionally, it handles commercial launch contracts for ISRO, having launched 237 satellites from 29 countries to date. 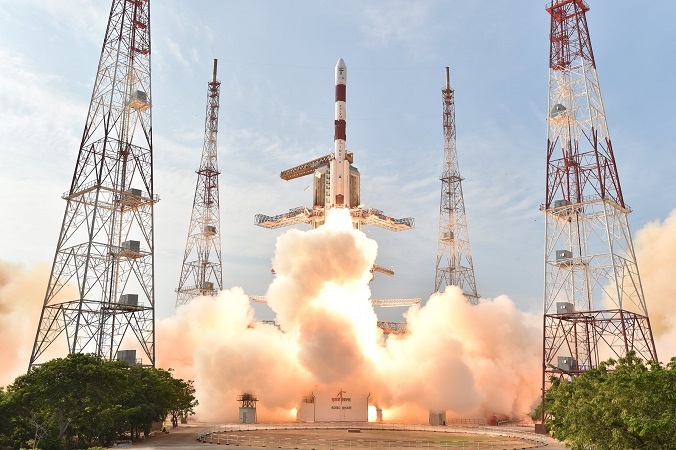 ISRO also revealed the total amount allocated, disbursed and spent by ISRO for its projects and programmes in the areas of Space Transportation Systems, Earth Observation, Satellite Communication & Navigation, Space Science and Planetary Exploration during past three financial years. *Based on current exchange rates and not accounting for currency fluctuations.